The comic strip Prince Valiant in the Days of King Arthur was launched in 1937 and continues to be produced to this day. Begun by illustrator Hal Foster and now under the direction of writer Mark Schultz and artist Thomas Yeates, Prince Valiant celebrates its eightieth anniversary in 2017. This is a significant achievement for a work of popular medievalism. In recognition of this milestone, the Association for the Advancement of Scholarship and Teaching of the Medieval in Popular Culture seeks papers that explore the appeal (either in the United States or abroad) of the strip and its characters and/or the significance of other works of American medievalism both in the past and in the world today. 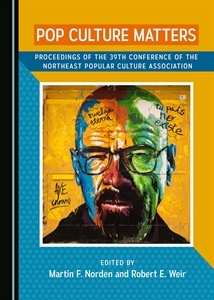 The session is being submitted for consideration at the 2017 meeting of the American Literature Association to be held in Boston, Massachusetts, from 25-28 May 2017. Why is the medieval popular in the United States, a nation with no physical connections to the medieval past? What is the continued appeal of the medieval to Americans? Do Americans do different things with medieval material compared to their contemporaries around the globe? How have Americans’ view of the medieval changed over time? hy do some forms of American-made medievalism endure while others are forgotten? Final papers should be delivered between 15 and 20 minutes, depending on the number of presenters. Potential presenters are reminded that the rules of the conference allow individuals to present only one paper at the annual meeting. Further details on the Association for the Advancement of Scholarship and Teaching of the Medieval in Popular Culture can found at http://medievalinpopularculture.blogspot.com. Additional information about the conference and the American Literature Association can be found at http://americanliteratureassociation.org/.